operation of the business while the Broker performs the task of advertising the business for sale, finding the buyer, working through the due diligence process and scheduling the closing and transition period. Having a Broker handling the transaction ensures the sale is kept confidential, and therefore creates a seamless transition for both the buyer and seller. A Business Broker will use confidential methods to advertise a Florida business for sale without disclosing names and locations to the general public, employees, vendors or competition. This is extremely important in the Florida business for sale process, and can include any number of methods. 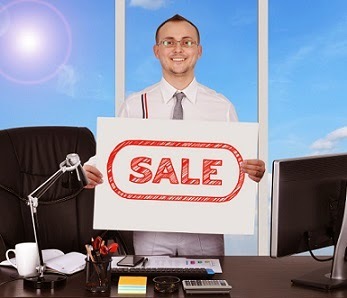 sale involves direct marketing. In this approach, direct industry contacts are made which include competition and strategic Buyers in vertical markets. A Business Broker is usually necessary for this approach as it requires a great deal of skill and tact to maintain the confidentiality and protect the seller’s business, trade secrets and other confidential information. In many instances deals structured in this way can be much more lucrative for the both the buyer and seller. As in other industries, the internet has largely become the largest single source of bringing Buyers and Sellers together by the advertising of a Florida business for sale online. Literally dozens of web sites have popped up over the years, some of the more prominent include, www.TruforteBusinessGroup.com and www.BizBuySell.com . Through websites such as these, Florida Businesses for sale can be confidentially marketed and advertised nationally as well as internationally. In addition, regional Business Broker Associations, such as the Business Brokers of Florida will have MLS web sites that are used. These MLS sites are used between brokerages to share information and cooperate on business transactions. A large percentage of the businesses for sale in Florida, are in fact sold by cooperating brokerages working together. Print advertising is not used as widely as it once was, but successful campaigns for advertising a Florida business for sale are still possible. The most effective campaigns are those carried out by a Business Broker, who can reach a potential market while still maintaining the confidentially. This is most successfully done through direct mail and industry publications or associations. For print to be successful for advertising a Florida business for sale in today’s market it requires a more targeted approach than the days of placing a classified ad in the newspaper. Once a seller has made the decision to sell a business, it is advised that the advertising of a Florida business for sale be left to the professionals. Florida Business Brokers at Truforte Business Group have the experience and knowledge to carry out a successful advertising and marketing campaign. There is much more involved than placing a couple ads on your favorite website. The process requires the gathering of information and sorting through the facts, recasting financial data and putting together a marketing package that will attract buyers. The proven methods are designed to protect seller interest and keep the sale of the business confidential, and take both the buyer and the seller to their ultimate goal.